Full medication coverage is expected to increase patient compliance from 50% to 76%. Expanded coverage would cost insurers an average of $644 more per patient, but would avert an average of $6,770 in event-related costs. 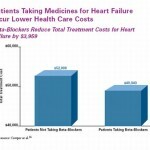 Insurers would ultimately save $5,974 per patient.